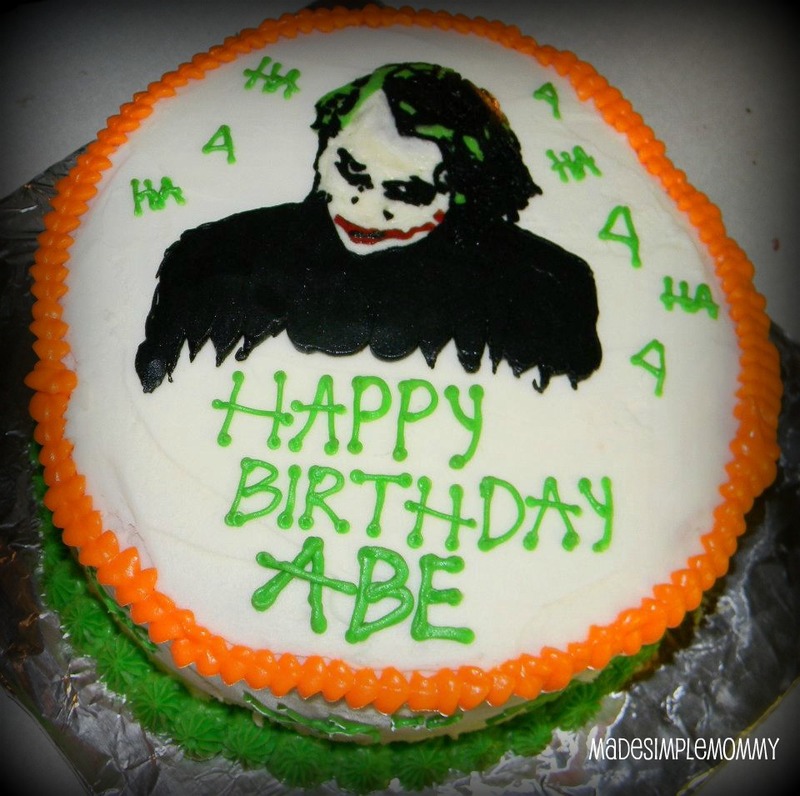 One of my good friend's son was turning the big 4, and he loves Joker from Batman. He loves Batman also, but Joker is his favorite. I have a feeling she was going to ask me to make his cake and I was so nervous about it. I specifically asked "movie-version Joker or comic book-version Joker"? of course movie-version was the choice. I searched online to find a photo of the legendary Heath Ledger as Joker. Many of the pictures are so dark that it would be hard to interpret onto a cake, but I found a very common photo and decided to use that. 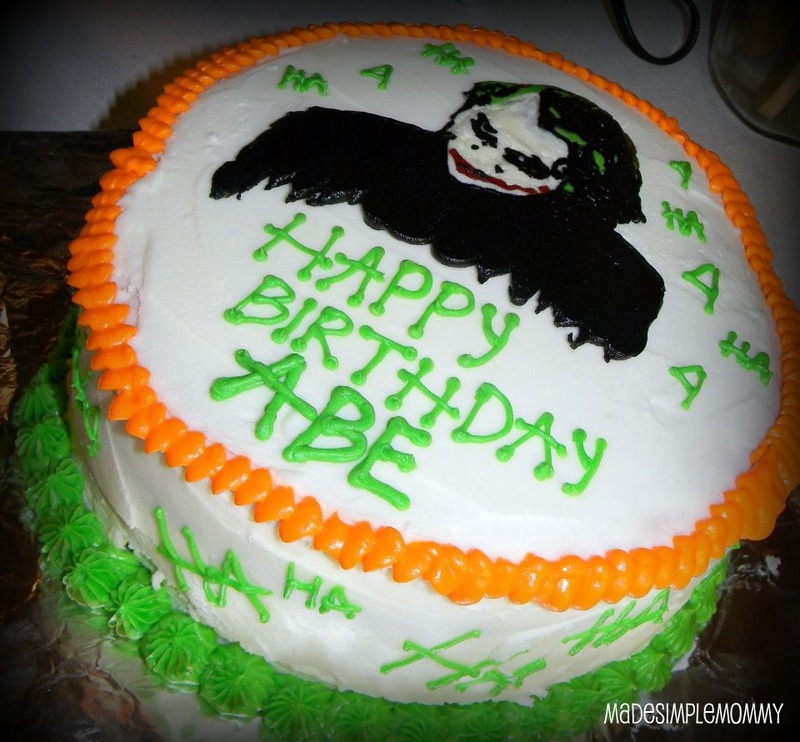 I didn't know what to do with the edges of the cake (it was a double-layer) but I remembered the "HA HA HA" and recalled seeing it on many of the photos, so that filled the space nicely. This cake is done in butter cream frosting. So after I had the cake taken care of I had to tackle the sugar cookie request. 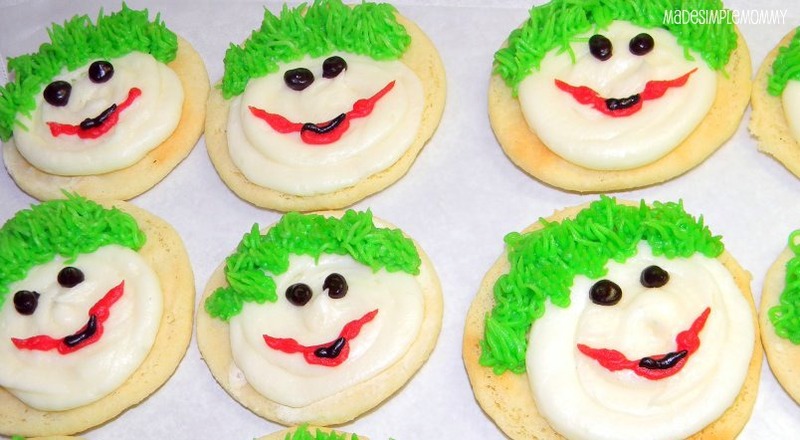 I would have normally done these in royal icing as it is so much easier for detailed cookies, but she doesn't care for the icing and prefers butter cream any day...so I decided to do the comic-book version Joker for the cookies. 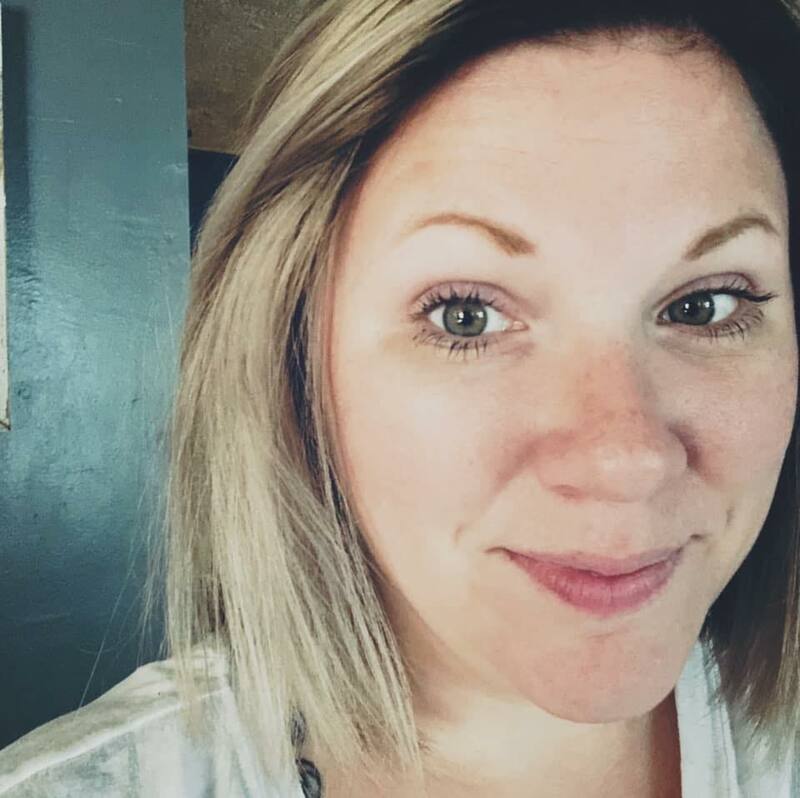 The features were so much easier to add. 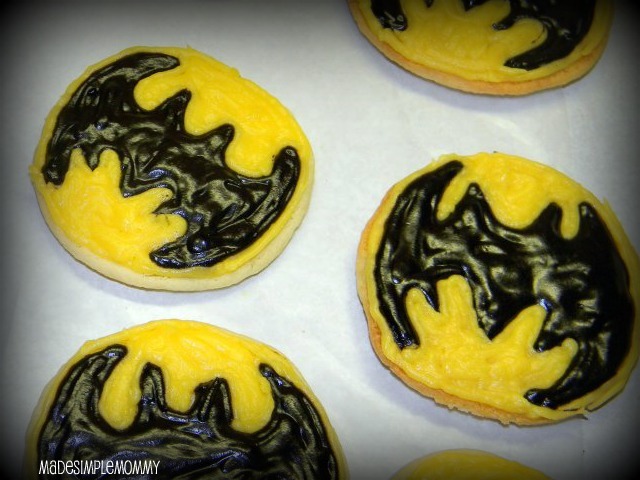 Of course some Batman logo cookies had to be present at the party, which I free-handed and don't really want to ever have to do again...but I'm sure I will have to again some day!